After the failed attempt to drive at Bressingham we were determined to return and this time we were sucessful. 16 members enjoyed grand day out at Breessingham steam museum started with us being divided in to groups of two or three and being given an engine to help prepare, then throughout the day we had allotted times with each engine, and finishing the day by putting a different engine to bed. Engines in steam LBSCR 'Martello' standard gauge 'Bevan' and 'George Sholto' 2ft gauge 'St Christopher' 15 inch gauge 'Boxer' 8 ton road roller plus a Cochran boiler which fed 3 stationary engines. The group photo in front of the two 2ft gauge locos at the end of the day. Early morning duties included; clearing out the ashpan, firetubes and smoke box, fire lighting, oiling and cleaning. 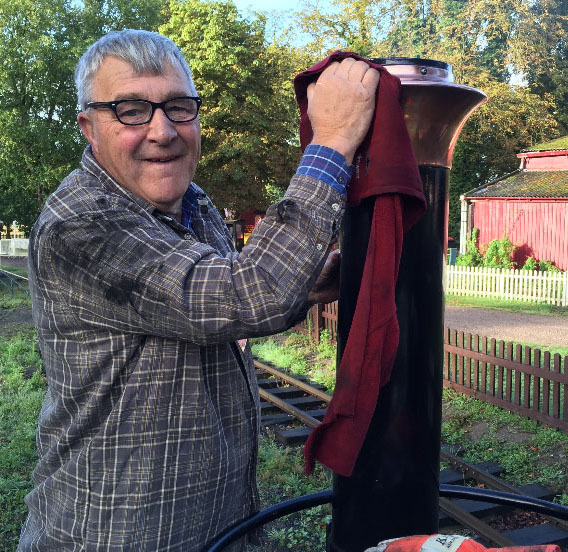 Jim finishes off by giving the copper capped chimney of 'George Sholto' a polish. The restoration of this 1875 loco had just been completed with its final boiler exam taking place a few days before we visited. 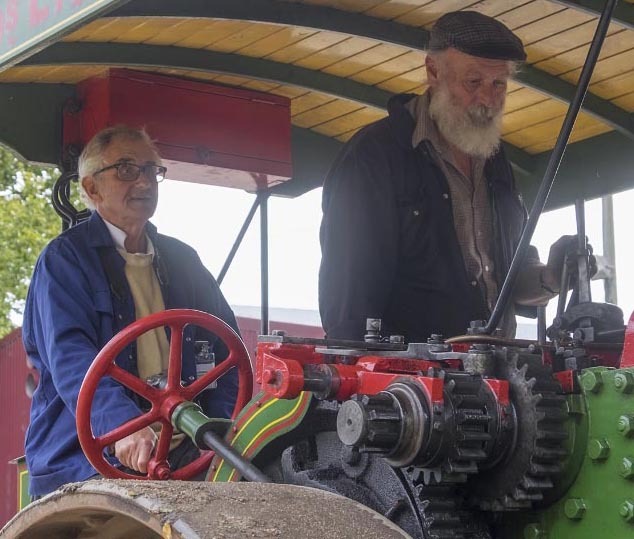 David gives 'Martello' some TLC while steam pressure builds up. 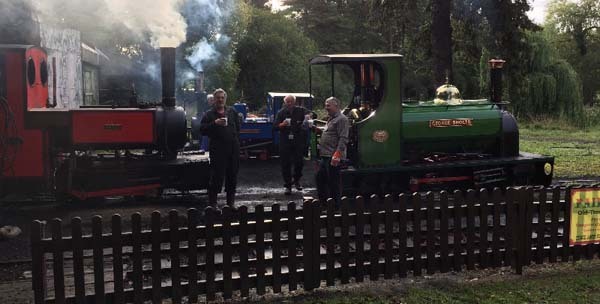 John and Jim enjoy a cuppa with the driver, while members are still hard at work on the other engines.